GE Healthcare announces digital collaboration with Rockwell Automation to help drug manufacturers improve efficiencies, get to market faster, and deliver personalized medicines. As automation, Artificial Intelligence (AI) and big data become today’s hottest buzzwords, biopharmaceutical manufacturing is entering its next evolutionary stage: biopharma 4.0. In this new era, next-generation technologies are providing more data with advanced analytics and modeling technologies that can be used for advanced process control and efficiency improvements. That’s why GE Healthcare and Rockwell Automation Inc. – the world’s largest company dedicated to industrial automation and information – are combining their automation, IT and single-use solution expertise to build bioprocessing operations for the digital age. This collaboration will help biopharmaceutical companies create flexible and scalable facilities of the future, focused on rapid response to market demands, streamlined production technologies and adaptable manufacturing environments. Combining GE Healthcare’s expertise in bioprocess manufacturing with Rockwell Automation’s expertise in automation will help drug manufacturers improve efficiencies, get to market faster, and deliver personalized medicines with innovative solutions. Automation improves operational efficiency with reduced production risk and streamlines workflows, resulting in faster times to market. This collaboration leverages the combined expertise in single-use bioprocessing with deep automation and IT knowledge to turn data insights into productive outcomes. 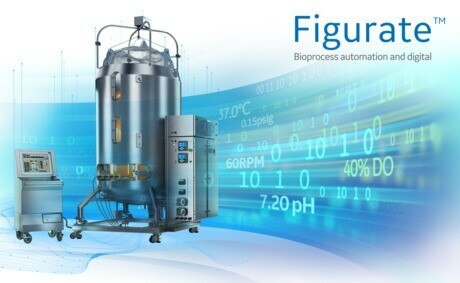 • Gain greater efficiency with FlexFactory™ single-use equipment integrated with Figurate™ bioprocess automation that improves reproducibility, repeatability and compliance. • Digitize batch files and processes to reduce review times by weeks and even achieve real-time reviews. • Deliver instructions to workers with augmented reality to improve batch execution, operations, equipment setup and training. GE Healthcare also joined the Rockwell Automation PartnerNetwork program as an OEM partner to help drive a best-in-class distributed control system offering. This program offers global manufacturers access to a collaborative network of companies mutually focused on developing, implementing and supporting best-in-breed solutions to achieve plant-wide optimization, improve machine performance and meet sustainability objectives. Collaborations like this are a critical step in transforming biopharmaceutical manufacturing with solutions that will optimize efficiencies and meet the needs of the biopharma 4.0 era.